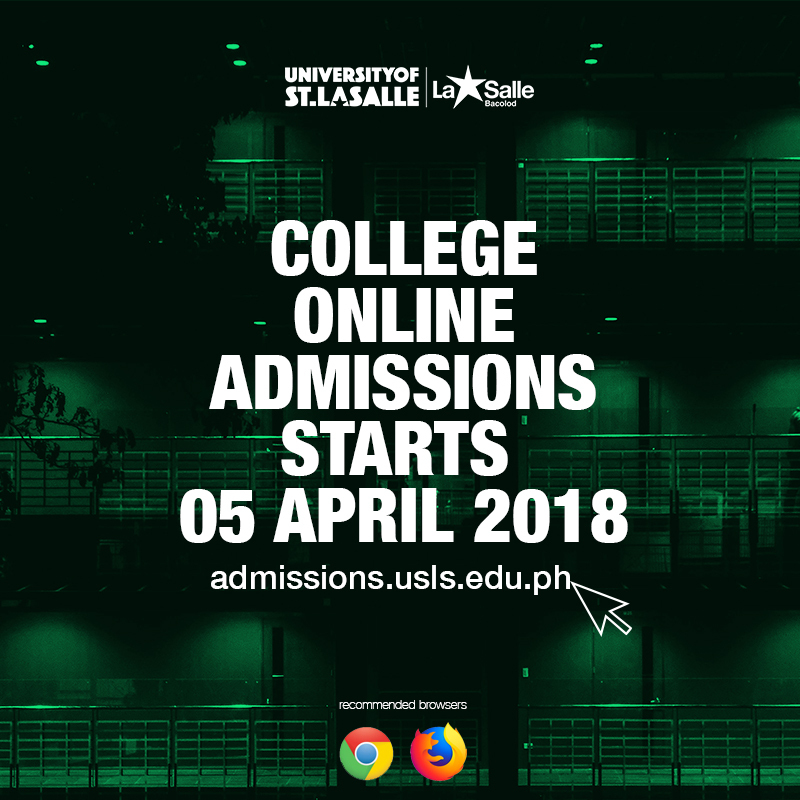 For easier and more accessible application procedure, USLS now offers Online Admissions for college applications. By clicking this link http://admissions.usls.edu.ph/, students can simply enroll while in the comfort of their homes. Online admissions will begin on April 5, 2018(Thursday). *Note: Recommended browsers to be used are Google Chrome and Mozilla Firefox. 1. Kindly complete the form below. 2. Click on the “Verification” check box and click on “Proceed” button. 4. Have it signed by the applicant and the parent or guardian. 5. Bring and submit the signed application form together with the requirements during the published admission dates to the assigned admitting officers.